Featuring a casual and comfortable setting, Blanc et Rouge is a destination for those looking for a great glass of wine and interesting conversation. Home to an extensive, international wine list, Blanc et Rouge features hand-picked wine selections from California, France, Spain and Italy. Please come often to enjoy our friendly, comfortable atmosphere and to discover some great wines. Blanc et Rouge is in the heart of the Financial District and brings a world of wine to downtown. In a comfortable atmosphere, friends can sit back and relax with a glass of wine and appetizers as if they were relaxing at home. The bar features bold colors, bright music, vibrant artwork and cozy conversation couches. We invite you to join us at Blanc et Rouge soon. Chef Laurent Manrique, Andrew Fidelman and Christopher Condy have created another vibrant & inviting social destination in San Francisco, Blanc et Rouge. 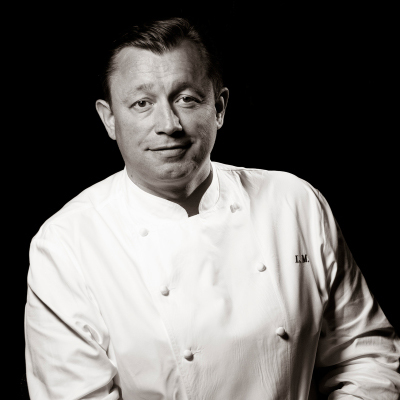 Chef Laurent Manrique is a French restaurateur and Michelin-starred chef. He learned of his love for cooking while growing up in the Gascon village of Roques. Preparing meals with his grandmother Aurélie awakened his awareness of his passion for the craft, while giving him inspiration for the signature pot-au-feu that appears on nearly all of his menus. Embarking on a culinary career at age 14 led him to an apprenticeship with Master Chef Roger Duffour, followed by training in Paris, where he worked with Master Chefs Yan Jacquot and Claude Deligne at Michelin-starred Taillevent and Toit de Passy. Under the encouragement of Master Chef Michel Rostang, Manrique came to Los Angeles in 1989 to work at restaurants Fennel and Rex. 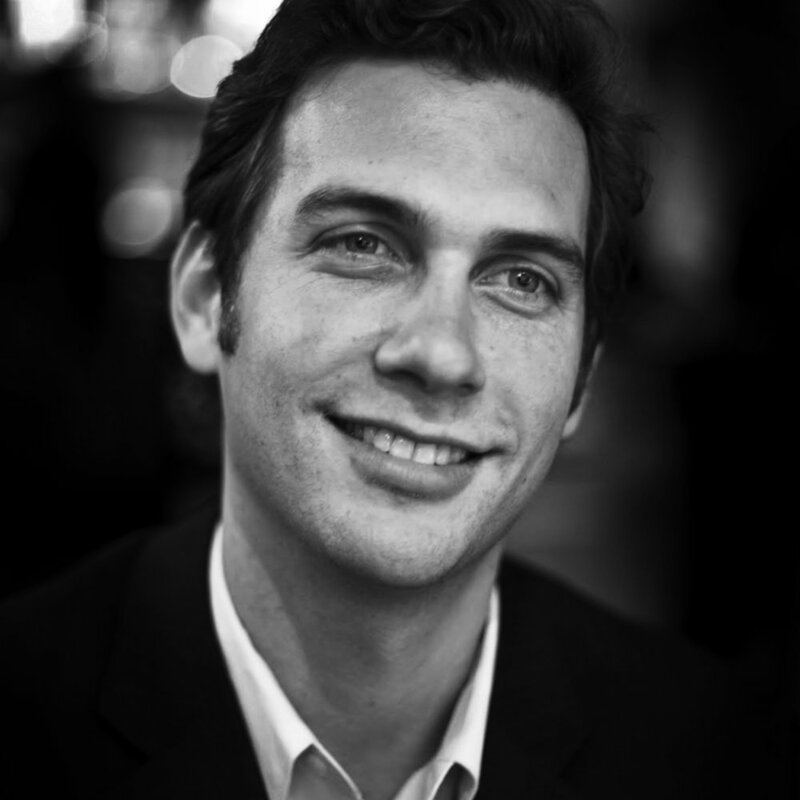 Currently, Laurent resides in the San Francisco Bay Area. Café de la Presse, a renowned Parisian-inspired bistro owned by Laurent, Aquitaine Wine Bistro, inspired by the cuisine and wines of Gascony, in addition to Blanc et Rouge, a stylish wine bar in downtown San Francisco, enjoy distinction among the city’s most popular dining and entertainment destinations. Laurent’s latest San Francisco project, Herlen Place, an upscale wine bar on Grant Avenue, opened in November 2017. Christopher Condy is a founding partner of C&L Partners, a restaurant development, operating and investment company. In 2008 C&L developed and opened the Fifth Floor Restaurant at the Palomar Hotel in San Francisco for the Kimpton Group garnering one Michelin Star in its first year. Later in the year C&L developed and opened the Urban Tavern at the Hilton San Francisco. Chris brings over 25 years of experience in consumer investment banking, luxury spas, resorts, hotels, wine, corporate and charter aviation, restaurant development and operations to this new venture. Chris was a board member of Aqua Development Corp. (“ADC”), which owns and operates the world-renowned and two Michelin Star AQUA restaurants in San Francisco, Las Vegas and Laguna Niguel. From 2006 to 2009 Chris was Chairman and CEO of ADC. Additionally, Chris is a member of the Board of Directors of Spa Chakra, Inc. the leading developer of international luxury spas in hotels and resorts. Chris is an investor; a member of the Board of Directors of FohBoh.com, the restaurant industry’s leading online social network; and, most recently, the Chairman of the Board of Directors and an active pilot for Solairus Aviation, the largest aircraft management and charter operator in the western United States. Prior to starting C&L Partners, Chris was a founding partner, a former member of the Board of Directors and Managing Director of JMP Securities (NYSE: JMP) from 1999 to 2007. At JMP, Chris headed Consumer Investment Banking and the firm’s efforts in Asia as Chairman of JMP Asia. Prior to joining JMP, Chris was President and COO of the energy efficiency and management company, Proven Alternatives. Previously, Chris worked at Montgomery Securities as a Vice President and Director of Venture Capital Services and prior to that, in institutional sales covering the United Kingdom, Europe and Asia. Before moving to Montgomery Securities, Chris started his finance career at Ivory & Sime, PLC in Edinburgh, Scotland on the U.S. fund management team. Andrew Fidelman was hit by the wine bug when he was 19 years old. While attending Michigan State University earning a bachelor’s degree in Cultural Anthropology, he worked as a waiter at the finest restaurant in East Lansing. The wine program was extensive, and Andrew had the opportunity to participate in his first “blind” tasting. From then on, I wanted to read about producers, study the major regions and taste the vast array of wine available in the world. Although wine became a priority in my life, I still wanted to attend graduate school. While studying for a master’s degree in Bilingual/Bicultural Education (Spanish/English), I worked at Tribute, a grand award wine program with a James Beard honored chef in Detroit. I worked as a teacher in Detroit, Oakland and San Francisco while studying wine in my spare time. I made the full change to wine/restaurant work when I landed a job at La Folie. From there, I went on to Aqua, Michael Mina, and The Village Pub and eventually opened and co-wrote the wine list at Spruce. I was reunited with Laurent and Chris in 2009 when we opened Blanc et Rouge. Over the years, we discussed opening a wine bistro with a full retail section that reflected the cuisine and wines of Southwest France.